Located on the Osprey Shores peninsula, the Authentic Seacoast Distillery & Brewery is home to award-winning spirits and craft beers including Sea Fever Rum, Fortress Rum, GLYNNEVAN Whisky, Virga Vodka and Rare Bird Craft Beer. These iconic brands bring Nova Scotia’s proud brewing and rum trading history to life and create new traditions here against the Atlantic Ocean. The Distillery & Brewery offers tours so visitors can not only see what it takes to make premium spirits and craft beer, but gives guests a glimpse into the deep history of beer and spirits here on the historic Guysborough harbour. 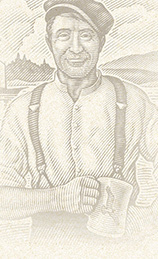 Guysborough is the birthplace of brewing in Atlantic Canada, started in 1659 by the Acadian entrepreneur Nicholas Denys. Authentic Seacoast Brewing Company’s Rare Bird Craft Beer continues this proud brewing tradition with Guysborough being named by Where as one of Canada’s ten great craft beer destinations. Equally exciting is Guysborough’s rich rum trading history. Visitors will experience Nova Scotia’s proud rum heritage at the distillery, a tradition that goes back more than 300 hundred years, with salt cod and lumber leaving the shores of the Guysborough harbour for the Caribbean, the ships returning with “hogsheads” of rum in their holds. Authentic Seacoast Distilling Company restores this proud trading tradition with Sea Fever Rum and Fortress Rum. The spectacular tasting room with its towering fireplace and heavy Douglas fir beams is the perfect spot to relax and enjoy our unique taste of Nova Scotia. Read more about Authentic Seacoast Distilling Co. at www.authenticseacoastdistilling.com and Rare Bird Craft Beer at www.rarebirdbeer.com.